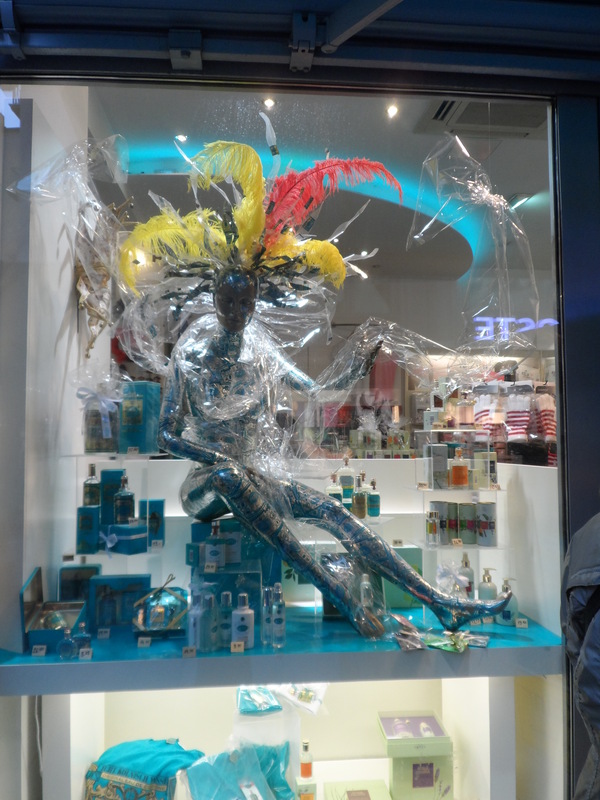 Last weekend, we went to the birthplace of the lovely Eau de Cologne – known in Germany as Köln or in English – Cologne. As intriguing as Cologne was, we were there for the purpose of celebrating the 10th year wedding anniversary of a family friend and as a result, a deep look into what makes Cologne tick will have to wait for another visit. 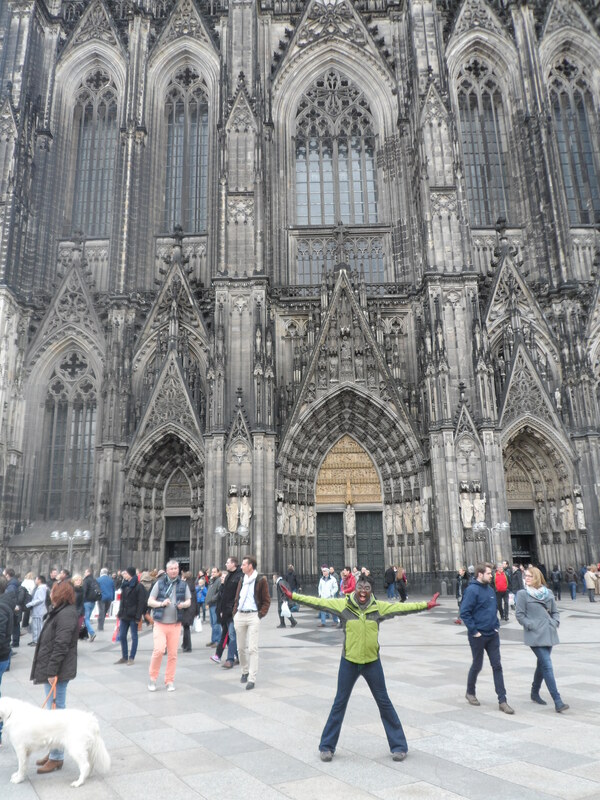 It has been at least 9 years since I’ve been to Cologne and my memories are hazy as the last thing I remember doing there was going from one bar to another, with an entourage of other managers from all around the country. 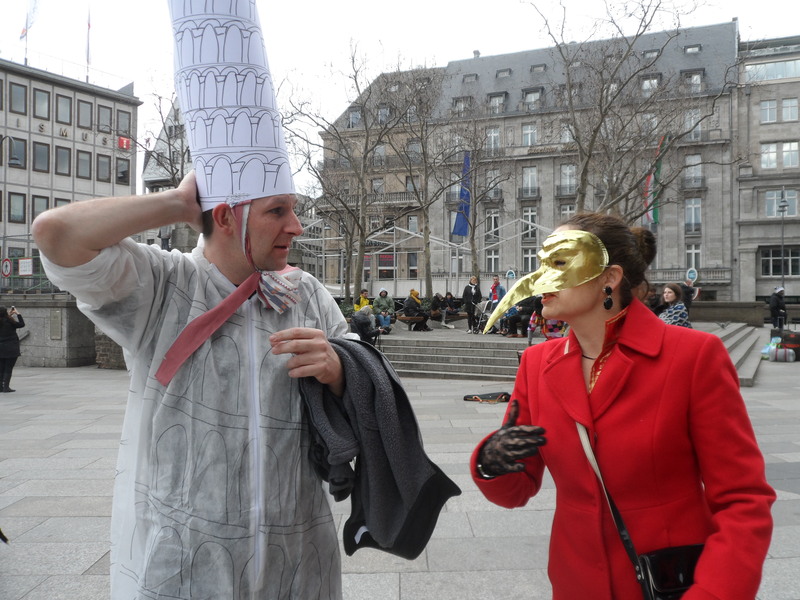 This time around, “The Music Producer” and “The Tall Young Gentleman” were in tow and the city of Cologne was in the throng of caaaaaaarnival fever. 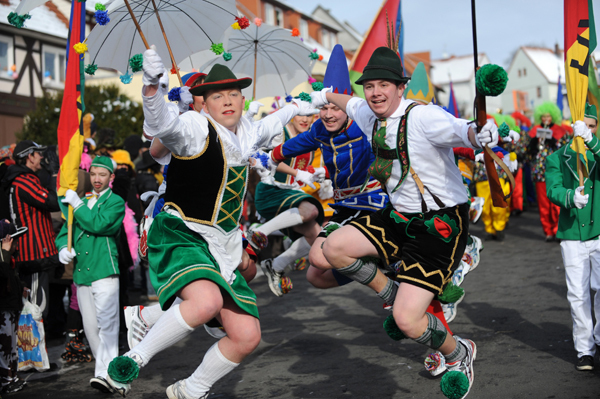 Not a carnival as is known in Anglo-American countries but “Carnival” – German style. Whoever says Germans don’t know how to enjoy themselves and let loose, has never been to Cologne, Düsseldorf, Munich or Berlin! But what is this Carnival? 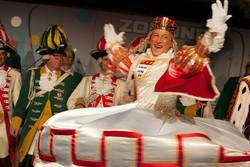 The Cologne Carnival is an important traditional festival that takes place every year, and is known as the “fifth season.” Every 12 months there are 3 people known as the “Dreigestirn” who are granted the titles of The Virgin – Jungfrau, the Prince – Prinz, and The Farmer – Bauer. 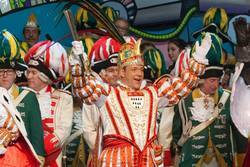 The Cologne Carnival prince is deemed to be the highest representative of the festivities, leading the main parades throughout the week. Traditionally, The Virgin – Jungfrau, is always a man in drag! 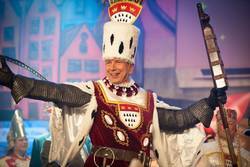 The Prince, The Virgin and The Farmer 2014 – Cologne Carnival. The Prince also known as His Madness or “Seine Tollität” symbolizes the carnival itself and usually wears some form of a crown with a peacock tail, a golden chain, a girdle with precious stones, white breeches, and a jacket. He also carries a sceptre in one hand and slapstick (the symbol of the fool) in the other hand. 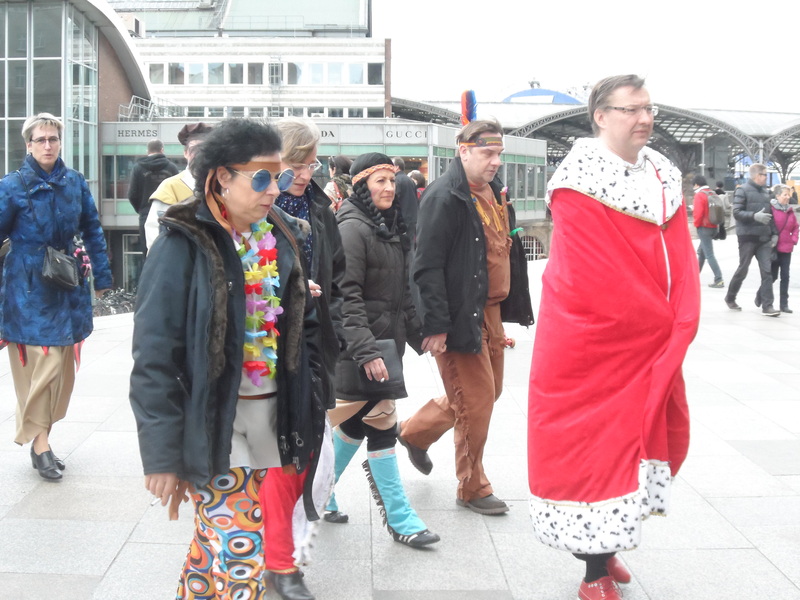 The Prince – Cologne Carnival, 2014. The Virgin also known as Her Loveliness or “Ihre Lieblichkeit” symbolizes the patronizing mother Colonia and is traditionally played by a man who has no facial hair. The Cologne Virgin usually wears a mural crown and has a hand mirror (the symbol of vanity), and is normally dressed in Roman clothing representing the Roman empress Agrippina, who was born in the Roman city of Colonia. The Virgin – Cologne Carnival 2014. The Farmer also known as His Heftiness or “Seine Deftigkeit” must be a man of stature. He expresses the boldness of the old privileged imperial city of Cologne and has a sword and a hand tool used for threshing grain (the symbol of loyalty and truth). He is also the keeper of the city and wears the city keys on his girdle (the symbol of the city militia). 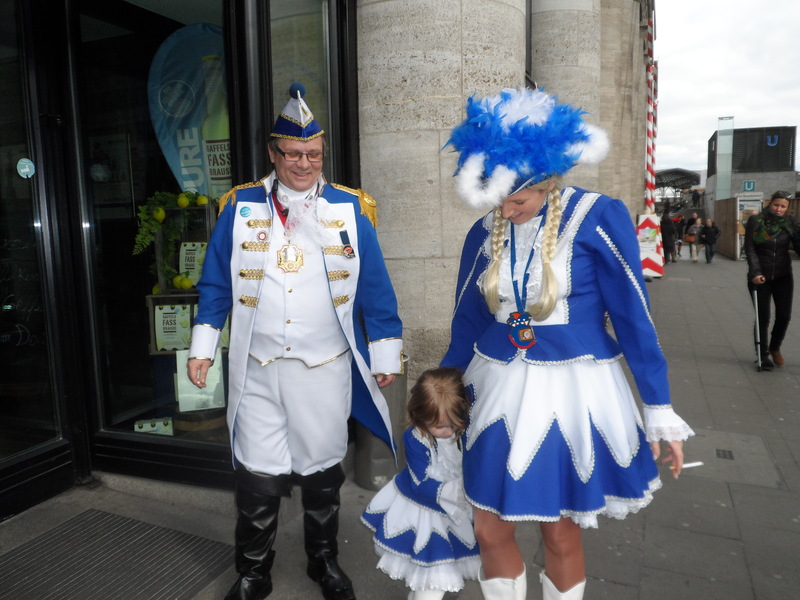 The Cologne Carnival is first and foremost a festival of fancy dress. Fancy dress. Who am I? Am I the fool or are you? Custom demands that the carnival season is declared opened at 11 minutes past 11 on the 11th day of the 11th month (November). During Advent and the Christmas period the carnival is temporarily put on hold until January 6th but the real merry-making takes place on the Thursday before the beginning of Lent. During this time, there are many balls, street festivals, celebrations, “crazy days,” wild parties on the streets, and parties in the public squares. During this period, closing times for restaurants, pubs, and clubs are ignored and establishments are allowed to open 24 hours a day! This wonderful time all ends on Ash Wednesday. However, the biggest highlight of the Cologne Carnival is Rose Monday or Rosenmontag which takes place two days before Ash Wednesday. Everybody makes an effort and is garbed in fancy dress costume and themed attire, or is masked, and you can pretty much wear whatever you like. When I attended 14 years ago, I went as some sort of cow. I had black and white make-up on, lots of glitter, a tail and a furry hat! Making an effort. 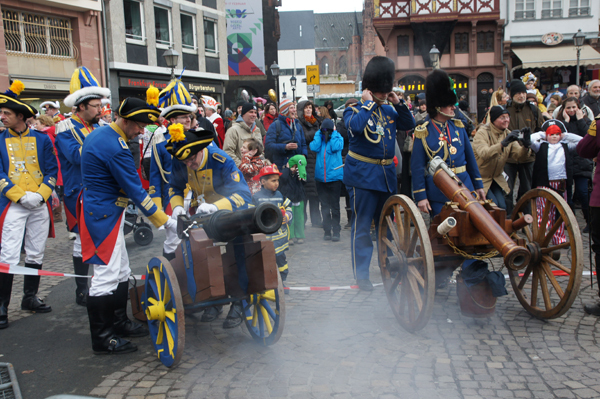 Cologne Carnival 2014. 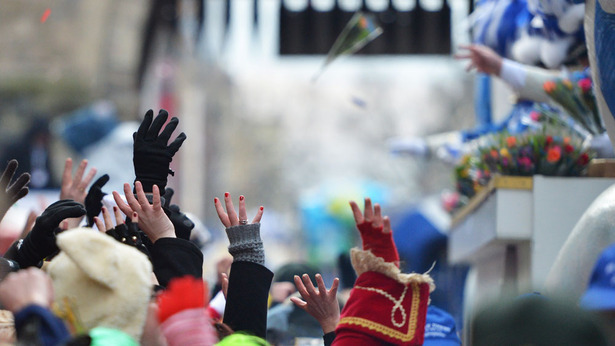 On Rosenmontag, there is a kilometre long procession that takes the Prince, the Farmer and the Virgin through the city. There is also the large official parade with elaborate colourful floats, and sweets are thrown from the floats to the public. These sweets are called “Kamelle.” Little bouquets of flowers are also given out – “Stüßjer”, and lots of little pecks of kisses are also given to one and all – Bützje. 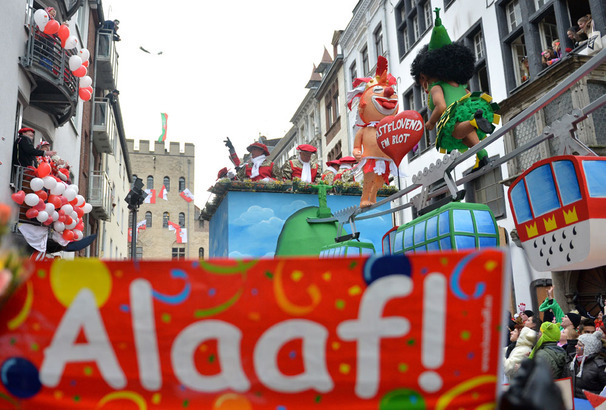 In order to get the sweets, bon-bons and candy, you have to shout out “Kamelle” and “Kölle Alaaf!” which means “Long Live Cologne!” If you’re lucky, chocolate boxes, and bottles of Eau de Cologne are also thrown from the floats! We had a brilliant time. 140 tonnes of sweets, bon-bons and candy. 3,600 kg of paint used. 500 sq meters of chipboard and plywood. 10 sq meters of plastic foam. €2.3 million or $3.1 million spent for the official parade ceremony. Right now, the beautiful Cologne is the place to be. 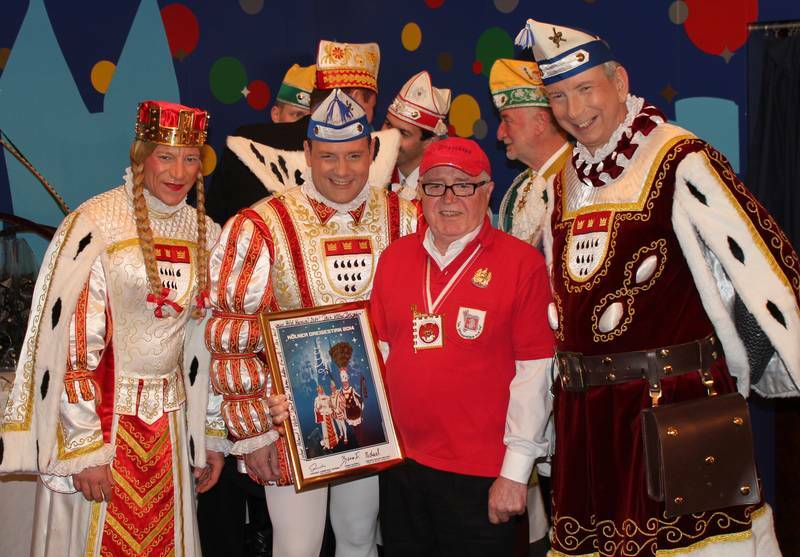 Princes giving out gifts at the Cologne Carnival, 2014. The Official Cologne Tourist Board or the Cologne Tourist Information. Have you been to Cologne? When was the last time you went to a Carnival? Do you like dressing up? Share your comments. 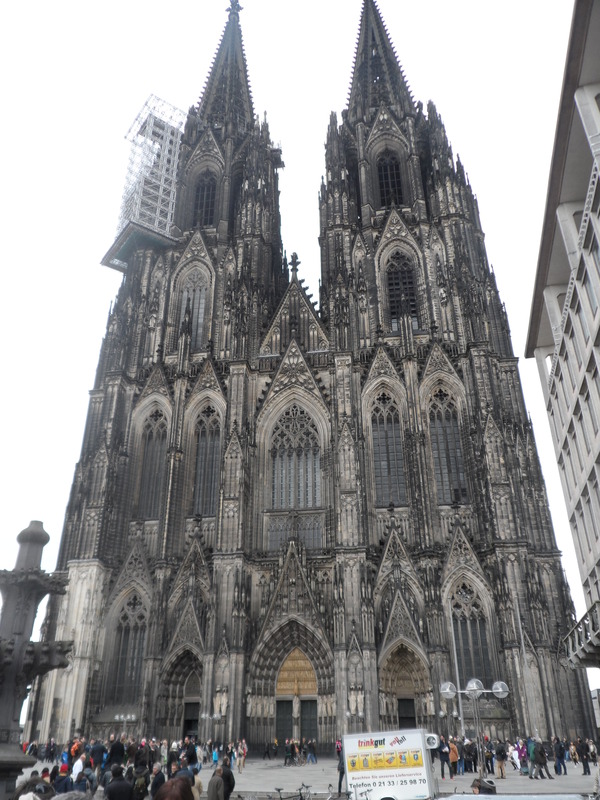 At the Cologne Cathedral, 2014. See you next week at the world’s biggest International Tourism Exchange platform – the ITB in my home, Berlin. Previous PostMy first blog interview – Yeah!Next PostMy first introduction to the ITB Berlin: the international tourism trade fair. Karneval looks like a blast! I always wanted to experience it. A few German bars here do Karneval with special events and production but nothing like the real thing. 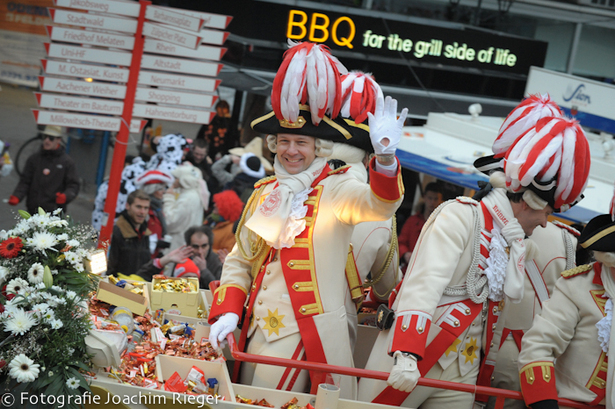 The Cologne Carnival is one of the best! 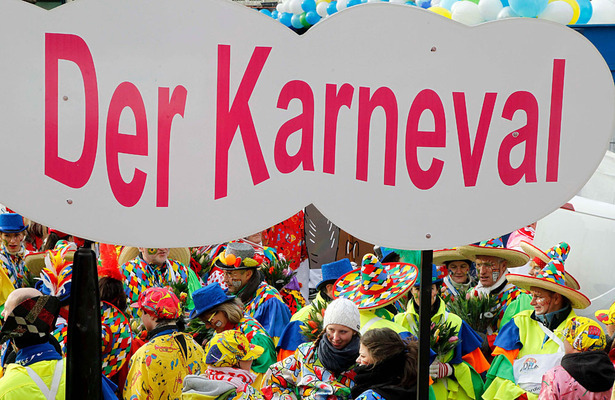 It’s true though that Germans all over the world will be celebrating Caaaarnival! One day, you’ve got to come out here Phil. Alcohol is the only way. Lots of it! It starts early too. When I originally came to the Carnival all those years ago, we took the train in order to get a decent “space” and people were already drinking and singing at 07:30 in the morning. Respectable people too! Ha! You don’t know these people. Continental Europeans know how to party. The East Europeans even more so, as you know….! When I lived in the Czech Republic, my Czech clients encouraged (read: forced) me to drink shots of vodka before I even had my second cup of tea. Madness, but it seemed to work LOL! OMG! It’s crazy in Germany. You wouldn’t think that German people could let rip, but they do, and they can LOL! I hope you can see it one day and if ever you’re on this side of the water, let me know! Looks like fun! We just had our carnival in Malta as well. It ends today, but the grand parade was on Sunday. That was fun, though my husband and l did not dress up! Wow! That sounds wonderful. I didn’t know that Malta had such carnivals. Probably something to investigate! And you didn’t dress up, why not? I’ve only been to Malta once but I loved it. It rained all week though but I had a great time. 🙂 Thank you so much for commenting. Never mind Kemkem, we’ll make “a performer” out of you yet! Seriously though, even though it rained in Malta, I still had a fabulous time. I’m British so I’m used to rain! Thank you so much Kavita! I’m glad that you like the post and the carnival. 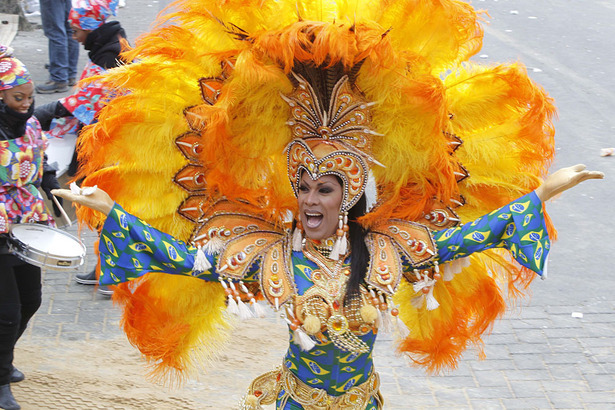 🙂 I too would love to go to the Brazilian carnival. Perhaps we should go together. Now that would be fun indeed!